Enough reagent for 26 tests. All my other Hanna testers do an amazing job and are always spot on. But the calcium tester is constantly 100 parts high and I have to test two or three times before it compares to my Red Sea calcium test. I love my Hanna checkers. Love being able to simply order refills as opposed to purchasing an entire new kit. I always have used this product for my Hanna Checker. I have not had any problem with them. We've been using the Hanna Checker for calcium for over 18 months. The method is simple and easy to follow. When we run replicates, we find that we get repeatable and reproducible results that are more discernible compared to other methods available in the hobby. I've found if something is easy to use I use it more. Hanna checkers are simple to use and accurate. Since using Hanna checkers I test more giving me better results. Thank you for your question. 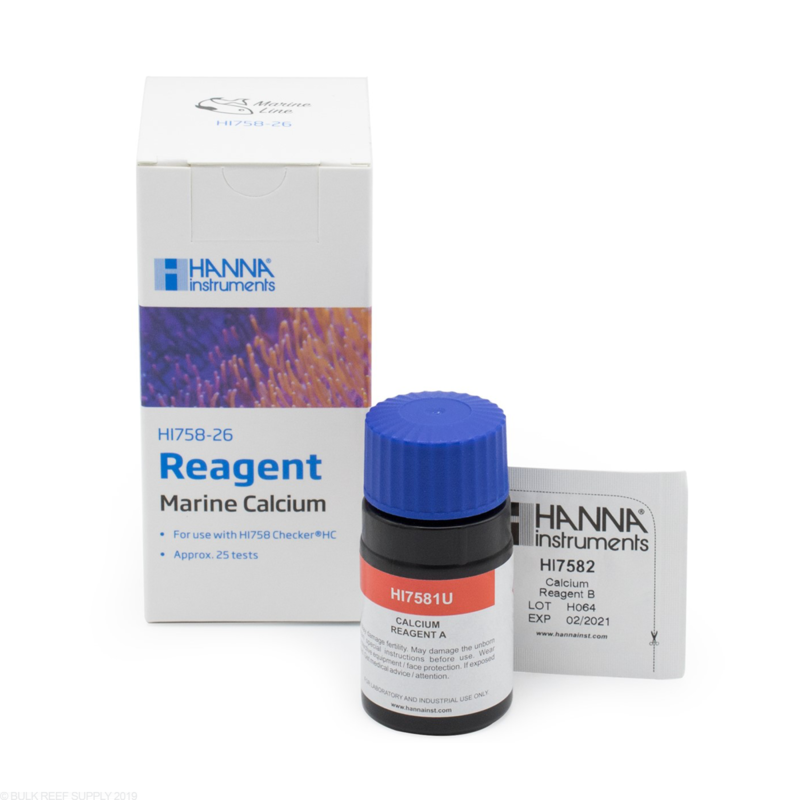 The HI758-25 reagent includes both the liquid Reagent A along with the powder Reagent B. The kit includes enough reagent for 25 tests.